Introduction of the 122nd Canton Fair – Aoyee Royal International Co., Ltd.
China Import and Export Fair, also known as the “Canton Fair”, is an important channel for China’s foreign trade sector and a demonstration of China’s opening up policy. It plays a key role in advancing the development of China’s foreign trade and the economic and trade exchanges between China and the rest of the world. And it is renowned as“China’s No. 1 Fair”. Canton Fair is co-hosted by the Ministry of Commerce of PRC and the People’s Government of Guangdong Province and organized by China Foreign Trade Centre. It is held every spring and autumn in Guangzhou, China. Since its establishment in 1957, Canton Fair has enjoyed the longest history, the largest scale, the most complete product variety, the best business turnover in China, and the biggest buyer attendance from the broadest range of countries for 121 sessions. The 121st Canton Fair, concluded on May 5th, 2017, attracted 196,490 buyers from 213 countries and regions. These figures reflect the huge commercial value of Canton Fair and its importance in contributing to global trade. Focused on international market demands, Canton Fair is a comprehensive and specialized trade event. It exhibits over 150,000 categories of quality and feature products, both from China and overseas. About 24,000 outstanding enterprises from all over the world participate in each session. Exhibitors refer to advanced international quality standards as benchmarks, adhere to globally-recognized product test and green and safety certification system, and bring more and more new products that are green, low-carbon, smart, with high technological content and added value, representing the highest level of China’s smart manufacturing industry. The International Pavilion, inaugurated since the 101st session to promote balanced growth of import and export, has been held for 21 sessions. In the 121st session, there were 998 stands in the International Pavilion; 620enterprises from 42 countries and regions participated. In the coming 122nd session, the total exhibition area will be 20,000 m2. We will continue to adopt a professional and market-based approach, invite more overseas exhibitors, and enrich marketing campaign. We will also step up promotion of the International Pavilion, pool our resources, and improvethe experiences of overseas exhibitors. In the meanwhile, to respond to the national policy, we will invite more exhibitors from countries and regions in the “Belt and Road” initiative. With our focus on Internet applications, we have developed a promotion model that combines digital precise marketing and service marketing. In 2016, we increase Canton Fair promotion on 6 social media platforms, especially on Facebook and LinkedIn, creating sound interaction between world famous social media platforms. Latest information and online inquiry answering are provided on our official account. For the 122ndsession, according to different purchasing habits and requirements intarget markets and based on the 16 categories of products, we will make key-word advertisements, banner advertisements, EDM, and re-marketing on famous search engines, which helps potential buyers to attend the Fair and strengthen the Fair’s information coverage and international influence. We use Internet technology to hold video conferences to attract more buyers and achieve sync marketing in the global market, which has greatly improved the effects of Canton Fair’s overseas marketing. For the 122nd session, we will optimize marketing destinations and hold a more targeted marketing campaign by focusing on key exhibition sections and developing new markets. Our key markets will be Russia, Poland, Israel, Jordan and other countries in the “Belt and Road” initiative, as well as China’s major trading partners such as the US, France, Italy and Brazil. Through the Advertisement Reward New Buyers program, we will continue to provide catering, hotel reservation, car renting and interpretation services for new buyers from 87 countries and regions in the 122nd session. We have also pooled resources of different industries: we work with world famous airlines and hotel groups to provide discounted air tickets, hotel and catering to reduce the cost of attending. 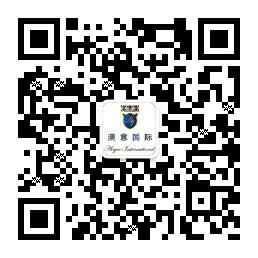 Besides, we also encourage Canton Fair buyers to invite their friends to attend. We provide more convenience for Facebook fans, who can now apply for “e invitation letter” on Canton Fair’s Facebook’s page and share it. Furthermore, Canton Fair Media Resource Exchange Program has attracted the participation of 34 industrial organizations from 21 countries and regions by exchanging media resources. We have been improving professional services for higher satisfaction from our visitors. In the 93rd session of the Canton Fair we launched “Multinational Sourcing Service” to provide special space for big and world famous global buyers to collect information and meet suppliers. MSS has provided individual sourcing services in fixed stations for 40multinational buyers such as Carrefour, and gained popularity among numerous buyers and exhibitors. It is regarded as a “diamond platform to promote mutual communication and understanding between suppliers and buyers”. “Canton Fair Product Design and Trade Promotion Center” (PDC), since its establishment in the 109th session, has served as a design service platform to bridge “Made in China” and “Designed by World” and to facilitate mutually beneficial cooperation between excellent designers from all over the world and quality Chinese companies. In the 122ndCanton Fair, more than 100 design companies / institutions from 16 countries / regions will participate in the PDC. It will also be the first time that a Scandinavian design group composed of designers from Sweden Finland and so on attends the Fair. PDC will also hold special events for industrial bases in Fujian, Zhejiang and Guangdong to achieve precise matchmaking and facilitate the transformation and upgrading of industrial clusters. Canton Fair witnesses the development of China’s foreign trade sectorand IPR protection, especially the progress in IPR protection in the exhibition industry. As the earliest exhibition in China to protect IPR, Canton Fair always attaches great importance to IPR protection. In the 85th session in 1999, an IPR complaint station was established to deal with IPR infringement. After years of efforts, a comprehensive system of IPR protection that suits the Fair’s practical situation is now in place. Currently, the international economic situation is undergoing greatadjustment. As the premium platform for economic and trade cooperation between China and other countries, the 122nd Canton Fair will attract more attention from the world. The exhibition duration and phase, product section and exhibition scale of the 122nd session will remain the same as those in the 121st session. The 122nd Canton Fair will be held inChina Import and Export Fair Complex from Oct 15 to Nov 4, 2017. The Fair will be arranged in 3 Phases; Phase 1: Oct 15-19, Phase 2: Oct 23-27, and Phase 3: Oct 31-Nov 4. The intervals are: Oct 20-22, and Oct 28-30. Welcome to the 122nd Canton Fair! “Hainan Airlines” Beijing – Calgary flight Anniversary!